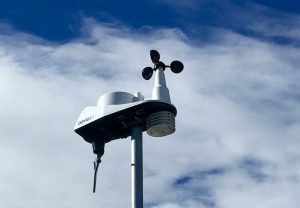 Welcome, BlazingComet.com is a personal website about my solar and weather station installations. The sections briefly describe the hardware installed and software used to record, upload and display data with links to resources that I use and to display my recordings and data history. 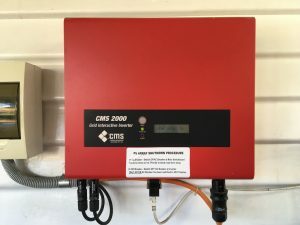 Solar Installation: In 2011 a 2 kilowatt solar array was installed, assisted at the time by some government rebates and a 60 cent/kilowatt hour feed in tariff under an arrangement known as gross metering. Gross metering means for every kilowatt the system generates there was a 60 cent credit. 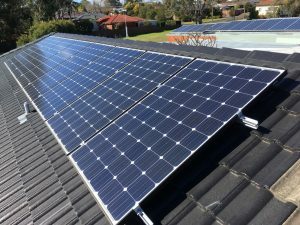 This reduced to around 6 cents/kilowatt hour at the start of 2017 then to 11.1 cents with an offer from the supplier and was changed to net metering to get the best return. 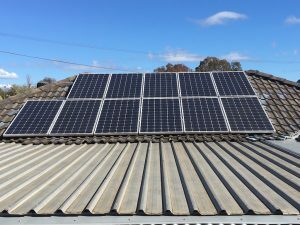 In 2015 an additional 2 kilowatt array was installed under the net metering arrangement. Under net metering arrangements, generated power supplements consumed power and any excess power is a credit of 11.1 cents/kilowatt hour. System 1 is 11 x 190 watt panels facing North East and System 2 is 8 x 250 watt panels facing North West. 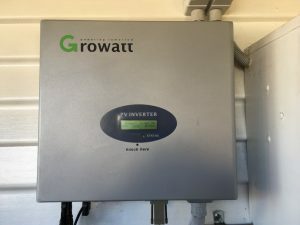 In 2017 both consumption and solar meters were replaced with a smart meter. Internet Connection: Both inverters have RS232 connections, these are connected to RS232 to lan cable adaptors and connected to a Dell Optiplex 160 via a serial to USB converter. The software interface is PVBeanCounter which extracts and captures energy consumption and energy generation information. This information is stored in a local database and summaries of the collected information uploaded to PVOutput.org. 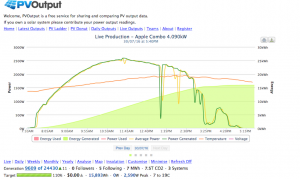 PVOutput is a free service for sharing and comparing solar array output data. When summaries of the data are uploaded to PVOutput.org, consumption and generation information can be displayed through a variety of graphical displays. The image below shows the PVOutput graph for generation and temperature on a selected day. Consumption graphs are not available for public viewing for my installation. 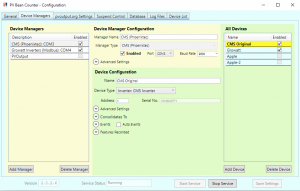 There are apps for hand held devices available for installation owners to display their PVOutput data. 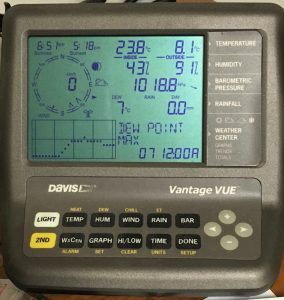 Weather Station: My first weather station was a generic stand alone Fine Offset which is branded under different names. Although the Fine Offset performed adequately for the price and was easy to setup it was not all that robust and after a few years it was replaced with a Davis Vantage Vue. The Vantage Vue is mounted about 5 meters high, which is a compromise between best location for both wind and temperature measurements. Internet Connection: Unsatisfied with only having the console to refer to, I set about looking for suitable software to record data onto a PC and came across Cumulus software that fulfilled my requirements. 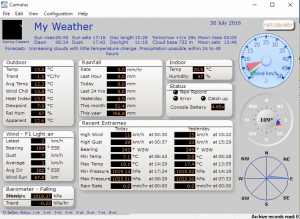 Cumulus supports a range of weather stations, has a good interface, can upload data to web sites including Weather Underground, with good support through the forums and is free. Connection for a Fine Offset console is direct into a USB port of a PC, whilst the Davis is via a serial to USB converter, both are configured in the Cumulus interface. Uploading data to Weather Underground allows owners and the public to view local installations via apps on hand held devices. Author: After commencing an electrical apprenticeship with a state government entity my work was in electrical and mechanical maintenance. As technology progressed this work expanded into computerised and data control systems and ended in management of maintenance teams before retiring. With this background it was a natural progression to have data recording of a hobby weather station and an installed solar system. Thanks to some smart people willing to share their knowledge I was able configure web based recording of these systems. Details of these systems installation and data configuration are found in the Solar and Weather sections. The Site: The BlazingComet.com name originated by combining two of our pet animals’ names Blaze and Comet and originally started as an internet portal in 2000 by a family member who had a interest in the subject. In 2003 it became a redirect for a game console website for a few years before going into hibernation and the registration was let lapse. A few years ago the name became available and in 2011 the site displayed a simple HTML page with links to my weather and solar installation data. In 2016 the site was given a new look with a web building application.